Here are mine, brand new custom with a viper 4x100 frame and my maple gold ice blade. Last edited by ncspeed; August 30th, 2006 at 02:03 AM. Not as fancy as some of you guys, but I made them myself. why is no one responding? did i kill this thread? 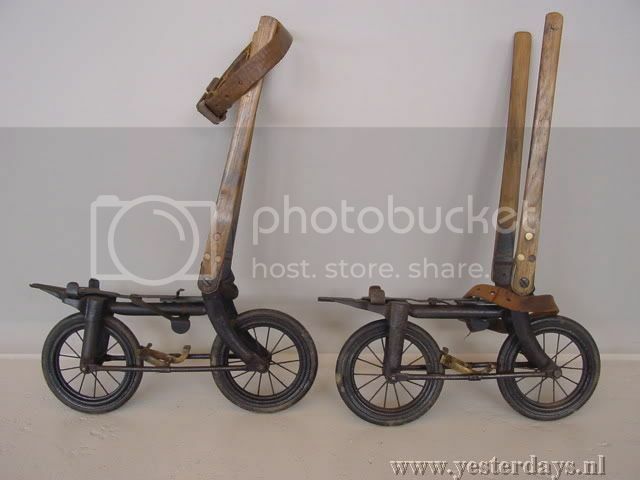 I'd like to hear anything about what such huge wheels might be used for. Never seen anything like that. My skates? Hummmm... In the upper left corner with the broken shoestring. Last edited by zerio; October 16th, 2006 at 04:58 PM. As promised, here they are. The new 100mm wheels and bearings did arrive home before me and I had to fight the temptation to put them on. Fortunately, I had an extra set of 90’s and bearings to put on to try them out. Got home from work, rushed through dinner, took a few pictures and was able to get ~ 4 miles in before dark. I was so anxious to get out and get the feel of the skates I forgot to turn on the gps until the last mile. Duh. They felt great and what a difference in the feel of the edges. I have a lot of work to do, but don’t feel completely lost. Your suggestions on starting on the 90’s were definitely on target, or I believe I would have been completely lost and fumbling for months to realize my mistake. A huge thanks to those veteran suggestions! Did feel the burn in the shins since those muscles apparently weren’t used in the fitness skates, but was a good burn. So far, sooo good. Also as promised, no feet pictures. I’m sleeping much better now that I haven’t visited “that” thread. Take care ya ll.. Pls keep on sharing the news ...still need suggestions for wheels...ranalli used to be 100s hardness..dotn think we have that on inline wheels and they wont do agood job either,I guess...perhaps I mustget 84 hardness..need wheels with good grip and thatallows metostop and spin as well..on inline I guess whees are even more crucial...what a marathon!! huge wheels, no - not so huge, the guy who turned me on to these things, was on 125mm wheels, and that was back in '04. Those were big, these are just right. dmoore, Dave Simmons is a genius. You have tapped into a product that is trully a work of engineering perfection, and i can only describe the difference in his boots from other boots as the difference in driving a race car as opposed to a run of the mill rent a wreck. You are in for a real experience. They have exactly what's called for where you need it, and nothing more. I don't know how he does it, and it's not important that i do. But it's all there. Here are my session & dance skates that I've been spending most of my time in lately. The boots and plate are less then 2 years old but have been used 3-5 time a week. *EDIT* After seeing online inline's skates I had to give my skates a "make over"
Last edited by Bill; October 27th, 2006 at 12:50 PM. 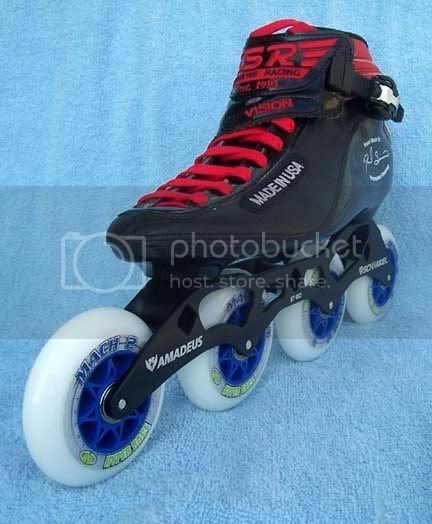 My precious, indestructible, 5 year old tortured, Rollerblade Urban skates ,original wheels are much thicker, but very expensive. 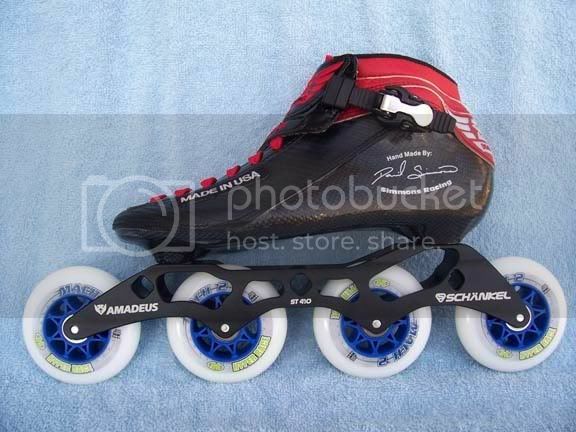 The wheels I use, are from secondhand skates almost as new , many people skate only for one or two times, and sell there skates for 10 or 15 euro! And this is my worst deal ever; 25 euro second hand. Ultra wheels with the name of Brett Hull on it! I think he's not that happy with this terrible fabric! The wheels worked as brakes, I used them in my ''bearing/ needle video ''to give them some function. The skates where broke in just a few days of roller soccer, the sole is made of cardboard as you can perceive from the pictures, awful, I could have been hurt, pain ,blood! !